Firstly, is the bird a nestling or a fledgling? 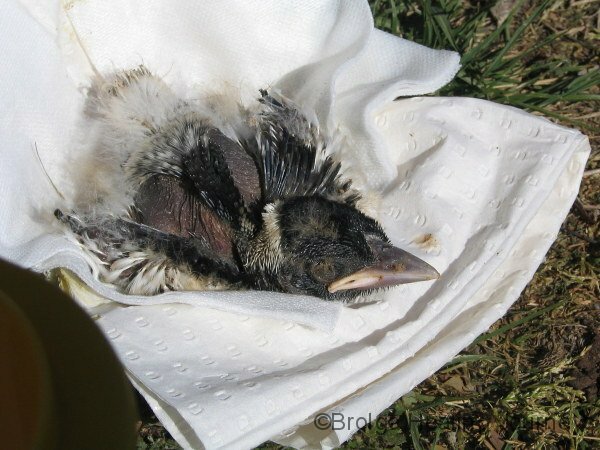 Nestlings may not be fully feathered and are not ready to learn to fly. They may have accidently been knocked or blown out of their nest. They need to be lifted off the ground out of harm’s way and placed in a temporary nest like an ice cream container. The little bird’s parents should be nearby, but if the baby is left alone for a full day, please bring the bird to RSPCA. If the bird is a fledgling, he will be able to stand up. He may be very wobbly, but he will be trying his hardest! This is the easiest way to tell the difference between a nestling and a fledgling. The fledgling’s parents should be nearby watching over him or getting food for him. If the fledgling is in immediate danger from pets or children you can lift him off the ground into a temporary nest, otherwise you can leave him where he is. If you don’t see his parents return within a day you can bring him to RSPCA. If you try to pick him up and larger birds start swooping you, pop him back on the ground, because it is most likely his parents letting you know they are there. If any bird is obviously injured, pick him up and bring him to RSPCA straight away. When he is healed we will release him where you found him. 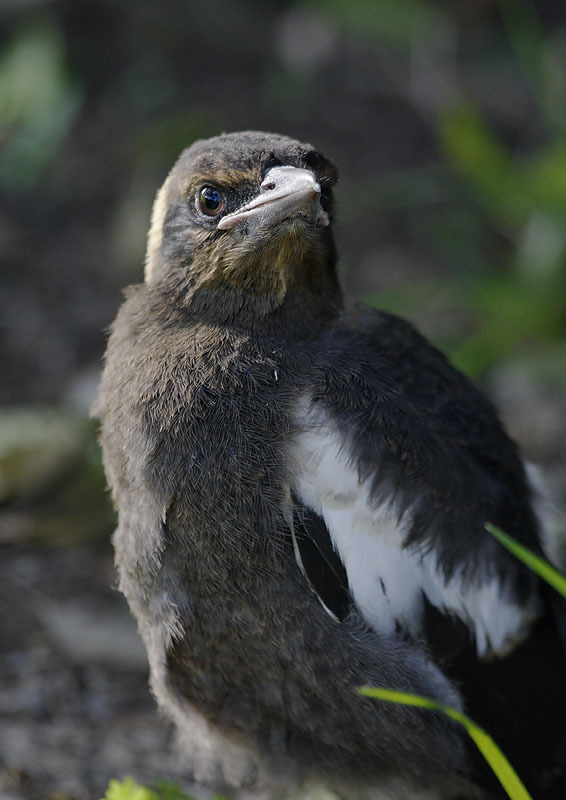 Please try your hardest to ensure that baby birds remain with their parents, as they can teach them the life skills they need to grow and flourish in the wild. Humans simply can’t offer this kind of guidance! If you have any questions about the welfare of a native animal you can contact us during business hours seven days a week on 6287 8100 or after hours (wildlife only) on 0413 495 031. You can learn more about wildlife first aid here.